Bridgewater Interiors LLC appointed Ron Hall Jr. to CEO of the joint venture between Johnson Controls Inc. and Epsilon Technologies LLC. Hall Jr., 46, succeeds his father Ron Hall Sr. in the position. Hall Sr., 72, becomes chairman of the Detroit-based company he founded in 1998. Most recently, Hall Jr. served as the auto supplier’s vice president and general counsel. Prior to joining Bridgewater in 2007, he served as an in-house attorney and program manager for JCI. 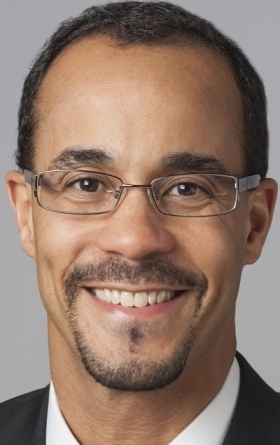 He also previously served as an associate attorney for Detroit law firm Dykema Gossett PLLC. Most recently, Ron Hall Jr. served as the auto supplier's vice president and general counsel. Hall Jr. earned a bachelor’s from the U.S. Military Academy at West Point and a law degree from University of Michigan. He also served in the Persian Gulf as an officer in the U.S. Army. Additionally, Bridgewater appointed Cassandra Alston-Childs, 50, as its COO. She replaces Barima Opong-Owusu in the position, who is retiring at the end of the year. She previously served in various management roles at JCI since joining the company in 2002, most recently as vice president of strategy, communications, government and environmental affairs of its power solutions business unit. Alston-Childs earned a bachelor’s from Purdue University and an MBA from Northwestern University. Bridgewater is a minority-owned enterprise that manufactures automotive seat components. In 2014, it reported revenue of $2.3 billion, up from $1.7 billion in 2013, and employs more than 1,500.